Water Kefir is a probiotic beverage made with kefir grains. Water kefir grains can be used with sugar water, juice, or coconut water. Kefir grains consist of bacteria and yeast existing in a symbiotic relationship. The term kefir grains describes the look of the culture only. Kefir grains contain no actual "grains" such as wheat, rye, etc. They are a natural supplier of Probiotics to our digestive track. Probiotics refers to the healthy bacteria that usually feed on the “bad” unhealthy bacteria in our stomach and intestines. Bacterial overgrowth can lead to many illnesses some of which include fungi, yeast infections, indigestion, obesity, Irritable Bowel Syndrome + Crohn’s Disease (my autoimmune disorder stems from these), skin disorders, etc. By drinking water kefir you will bring natural balance to your internal microflora. Authentic kefir can only be made by real kefir grains, not from any kind of packet or powder. The unique live and self-propagating grains make this a beverage you cannot find in the stores. The grains range in color from clear to brown depending on the sugar used when fermenting! Water Kefir, like milk kefir, is simple to make. It is fermented at room temperature with kefir grains, water, sugar and dried fruit for about 24-48 hours. It has many health benefits, a great flavor and is also well-tolerated by many diabetics (unlike regular soda pop). It's much easier to make than yogurt, beer or wine, has a larger spectrum of probiotics and the sustainable grains make it very economical. Water kefir grains are reusable. Once your kefir is finished culturing, simply remove the water kefir grains and place them in fresh sugar water, juice, or coconut water. Water Kefir is very cheap to prepare and you will save a lot from buying probiotic supplements which will cost much money. Fermentation time is within 36 - 48 hours. Instructions will be given upon purchase. My Water Kefir Grains are cultivated in Black Sugar as they contain more minerals. You can start selling once the water kefir grains has multiplied like what I am doing as there are too much of them to consume. Please check Water Kefir websites for more info on this item. 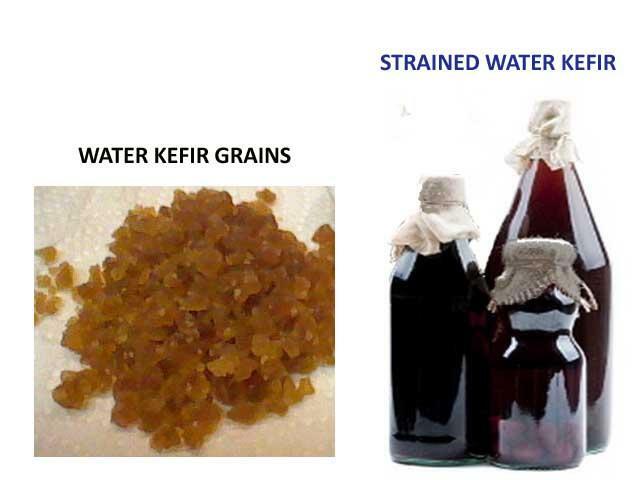 It is better for Water kefir grains to shipped by hand delivery rather than by shipping by post. For Self Collect a Discount of RM5.00 is given = RM20.00 (contact no. must be given). Collection is in SS2 PJ. Free Delivery to KL & PJ areas. (Please check if you are in such an area - municipality “DBKL” “MBPJ”) Allow for 3 - 5 working days after payment made. To purchase or to enquire, e mail to jalkent7@gmail.com.